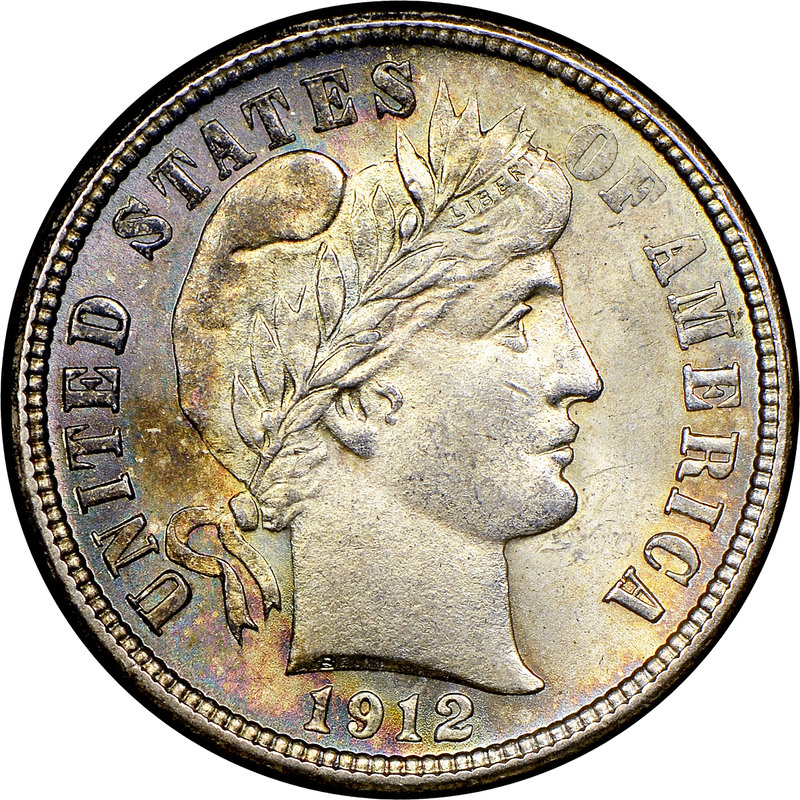 1912-D is one of three high mintage issues from the Denver Mint for this series, and it is plentiful in unworn condition. 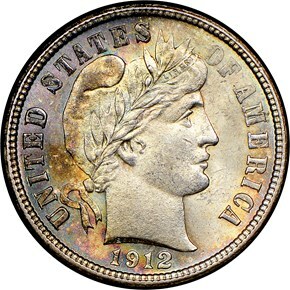 Gems, however, are relatively scarce. 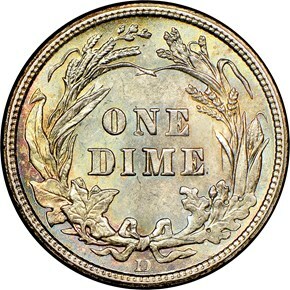 As noted in the David Lawrence book, both the strike and luster of 1912-D dimes are just average. 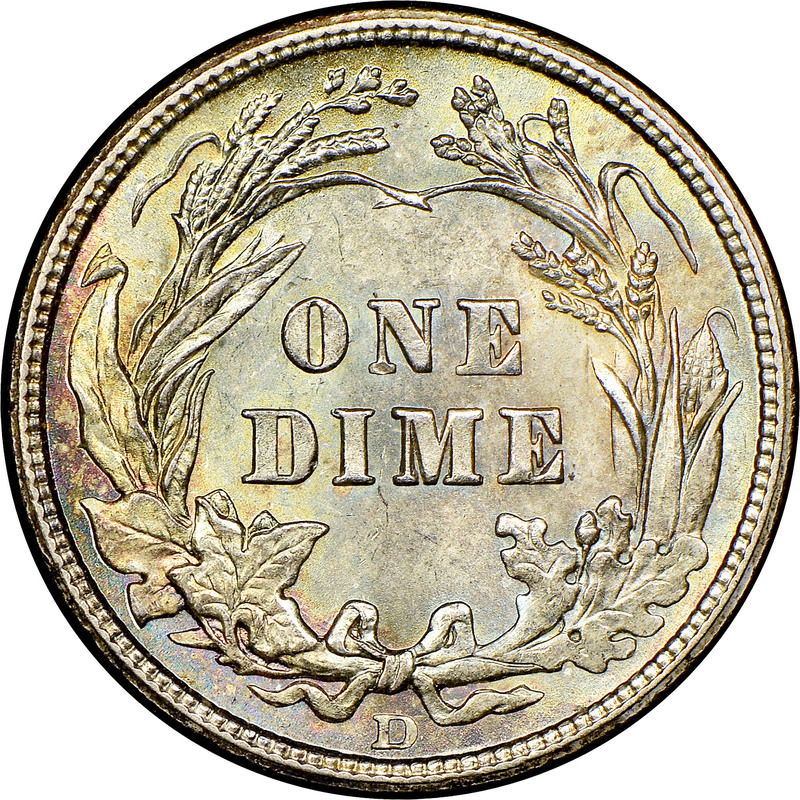 Two repunched mintmark varieties are known, and both are prominent enough to warrant attention from both variety specialists and Barber Dime collectors.